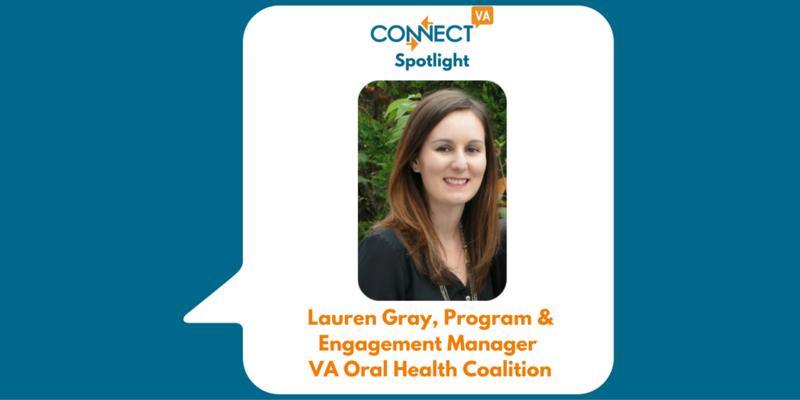 My name is Lauren Gray and I’m the Program and Engagement Manager for Virginia Oral Health Coalition. I am relatively new to the Coalition (just over 7 months). Prior to that I completed master’s degrees in public health and social work from VCU. I have had very diverse experiences in the public health field, including an internship performing case management at a free health clinic and another working at the state Medicaid agency doing policy research to inform the design of a major waiver program. My main driver is promoting equitable access to quality health care for vulnerable people. The Coalition mobilizes people from many sectors to ensure oral health is included as an integral part of overall health. The connection between oral health and the whole body is underappreciated, in large part because dental care is siloed from medical care and can be considered a luxury for some. The Coalition advocates for increased access to oral health care and provides education and technical assistance to help integrate oral health within all patient care settings. Knowing that I am working to address a problem that impacts individuals’ physical health and social well-being is really rewarding. In my previous work, I saw firsthand how desperate people in our community are to access care, and how even cosmetic dental issues can impact a person’s ability to find work or be socially active in their communities. The great thing about working on an issue like oral health is that most conditions are totally preventable – there are real solutions available to us, it’s just a matter of getting folks to collectively act at a system level. The biggest challenge I’ve encountered is communication to raise public awareness and foster collaboration across a wide array of stakeholders. Meaningful engagement requires a lot of finesse and attention to what truly matters to our audience. Sometimes it’s tough to figure out what messaging or framing resonates with people, and I have to be willing to re-think my perception of what the problems and solutions are. What’s coming next for your organization that really excites you? At our annual Virginia Oral Health Summit on November 10, the Coalition will be debuting an advocacy tool called the Virginia Oral Health Report Card. The Report Card will grade Virginia’s performance compared to the nation on several key oral health-related indicators; early next year we will facilitate regional convenings where we take a deeper dive into regionally-specific oral health indicators and health equity data. I am so excited to have the chance to impact this issue not only from a state level, but also to help Virginia’s diverse regions and communities develop their own approaches to bettering oral health, driven by the Report Card data as well as local data sources. 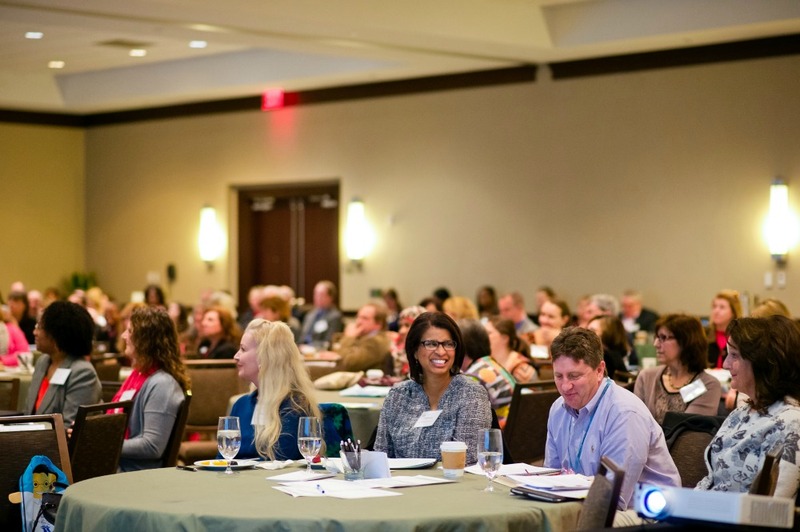 I hope that the fantastic organizations across the state who interface with ConnectVA will reach out to the Coalition to get involved with the regional outreach we are planning to do, or to become a part of our state-level advocacy work. Oral health problems might not rise to the top of a person’s priority list, especially if those problems have to compete with employment, family, or other health struggles. However, oral health can be addressed through other interventions to improve people’s overall health and quality of life. There are simple habits we can collectively encourage, resources that organizations can connect their clients with, and techniques that health care providers can employ to address the spectrum of their patients’ health needs, including oral health. For the bigger, systemic problems that need to change – we need more advocates to join us, so please reach out to get involved. Know someone who should be a ConnectVA Spotlight? Email us at admin@connectva.org for more information.